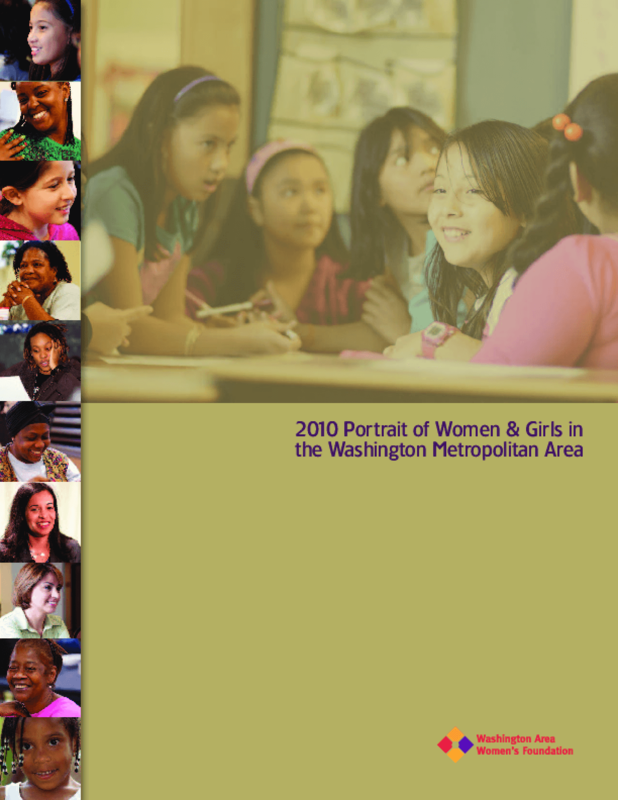 The 2010 Portrait of Women & Girls in the Washington Metropolitan Area (Portrait Project 2010) is a clear and current look at the lives of women and girls in the Washington, D.C., region. NeighborhoodInfo DC was a key partner in preparing the data for this report, which was an update to the Foundation's first Portrait report issued in 2003. The data cover a wide range of indicators of well-being for women and girls, including economic security, poverty, education, training, employment, earnings, work supports, housing, health and well-being, violence and safety, and leadership and philanthropy. Copyright 2010 by Washington Area Women's Foundation. All rights reserved.